A passenger train traveling through the Swiss Alps on Wednesday was derailed by a landslide, injuring 11 people. Three of the train’s cars were disconnected from the train and slid down a ravine, the Associated Press reports. 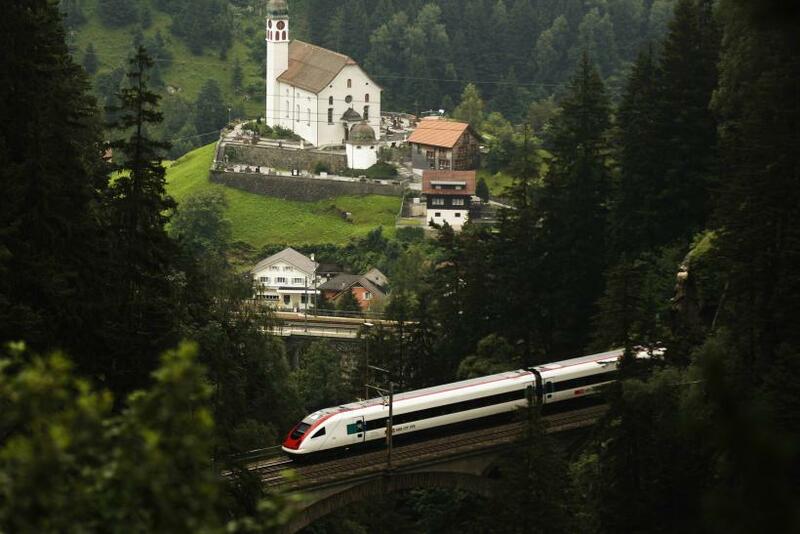 The train was traveling on the Albula train line to Chur in eastern Switzerland from a ski resort in St. Mortiz. Police say one of the carriages fell more than 30 feet into a ravine and smashed into several trees. The train was carrying 140 passengers, reports the Irish Mirror. None were killed in the accident. Six people suffered minor injuries in the crash while five were seriously hurt. A rescue operation was launched by Swiss police following the accident, with the injured being airlifted to hospitals. The landslide is being attributed to heavy rains that fell across Switzerland on Tuesday night. Officials say the train line is likely to be closed for two days.